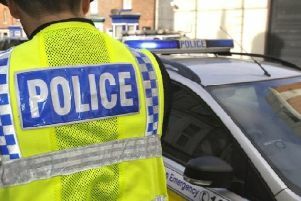 An investigation has been launched by Harrogate police after two elderly people were targeted in two separate fake police frauds in the town. The first victim, a man in his eighties, was phoned on Tuesday by a man who claimed to be a PC Mark Lawrence from the Fraud Squad in Scotland Yard. He said that the elderly man could call 999 and check his collar number with the force control room which the victim did. However, unbeknown to him, he was still on the phone to the original caller who hadn’t hung up the phone. The victim spoke to a woman who ‘confirmed’ these details and put him through to a fake Detective Sergeant Mark Douglas who said they suspected that the victim’s bank was being targeted by Romanian criminals and that they needed his help to rectify the situation. The fake ‘officer’ kept the victim on the phone for over two hours whilst he went to his bank and, under the guise that he was using it to buy a car, withdrew £3,000 in cash so that the ‘police’ could analyse it to see if there was counterfeit money in the cash bundle. The fake ‘officer’ also remained on the phone whilst a different man, from what could have been a fake courier agency, visited the victim’s home address to collect the money. The courier provided the password ‘SUNFLOWER’, which had been provided to the victim earlier in the phone call, and left with the money. The man become concerned the following day when the ‘officer’ did not call as he said he would. He visited his bank again where it became apparent that he had become a victim of fraud. In a second incident, a woman in her eighties, was also phoned on April 24 by a man who claimed he was Sergeant Wiggen of the Fraud Squad in New Scotland Yard. He said there had been suspicious activity on her account and that she needed to go to her local bank and withdraw £17,000. Fortunately, on this occasion, the banking protocol was initiated by the bank who blocked the removal of any money and informed police.